with M.R.Scweitzer Gallery, New York. 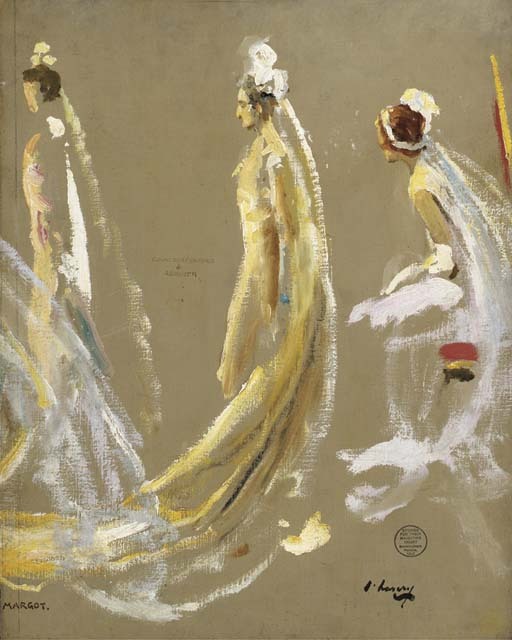 London, Conalghi's, Their Majestie's Court, Buckingham Palace, Portrait Studies and other Sketches by Sir John Lavery, R.A.,1932. This lot is subject to Collection and Storage Charges.